Make Jello shots that taste like pumpkin pie filling for your next autumn party with this easy-to-use mix. Just add water and alcohol! The basic af Jello shot mix of your PSL-drinking dreams is now a reality with our latest, fall-inspired flavor. This easy-to-use mix helps you make orange-colored Jello shots that taste like cinnamon-y, nutmeg-y pumpkin pie filling. Each packet makes approximately 30 to 35, 1-ounce servings, which makes it ideal for a party or other gathering. Just add water and alcohol! We think this mix tastes particularly good when prepared with rum, but feel free to experiment with other spirits. Vodka, whiskey, and even tequila will work. Of course, if you want to go the alcohol-free route, just use all water in the preparation, as the powder itself does not contain alcohol. Either way, a dollop of whipped cream and a sprinkle of cinnamon make for an attractive garnish once the shots have fully set. Try them for Halloween, Thanksgiving, Oktoberfest, tailgating, or any other autumn occasion. 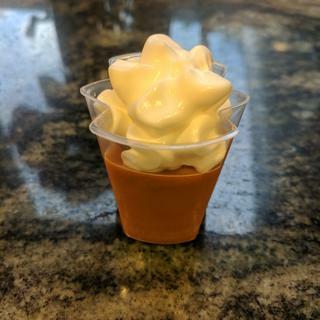 Pumpkin Spice Latte jello shots!!!! 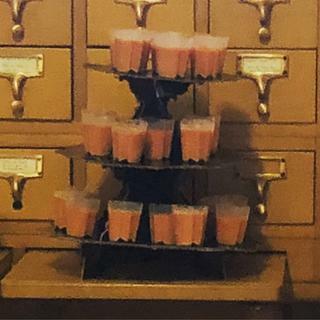 What a delicious idea! Thanks for sharing! Very easy to use and sets up really nice. This turned out perfect. It tastes just like pumpkin pie. I used Veil pumpkin flavored vodka. I loved this Jell-O shot starter. They turned out delicious, I used 1 cup of pumpkin vodka and 1/2 cup of JD Honey. I thought I had desolved the powder in the boiling water, but I don’t think I stirred it long enough, it worked out for this flavor bc it created a crust at the bottom, unintentional win, but it would have been a problem in another flavor.